The continued regeneration of the South Bank area of Leeds including plans to maximise the remodelling of Leeds Station has taken a significant step forward. Leeds City Council has now formally adopted the masterplan guiding all key developments in the area, meaning the principles in the South Bank Leeds Regeneration Framework will be formally recognised and followed in planning terms as a Supplementary Planning Document. The South Bank area covers the former industrial parts of north Holbeck and Hunslet and includes Leeds City College’s Printworks campus, Leeds College of Building, Leeds UTC and the Ruth Gorse Academy. 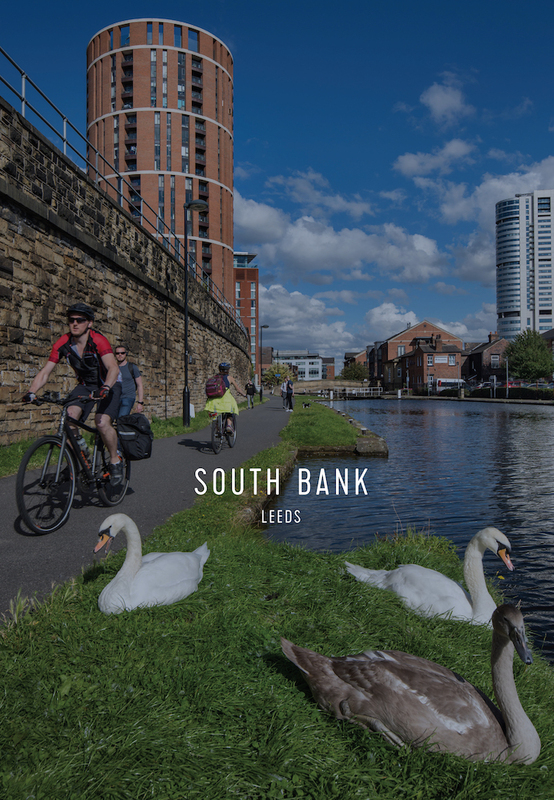 This document is the shared vision of Leeds City Council working in collaboration with landowners, stakeholders and local businesses and has been shaped by extensive public consultation with more than 32,000 individual responses being received. The vision sets out the clear aim for the South Bank to be a mixed use neighbourhood with new public spaces and a new city park, well connected to neighbouring communities with good public transport, with the waterfront and a world-class train station at its heart. The South Bank regeneration, which aims to double the size and economic impact of Leeds city centre by delivering 35,000 jobs and 8,000 new homes, is already well underway. More than 3,800 homes are now either complete or being built in the area, with an additional 3,000 in the planning process. The area is developing a burgeoning reputation nationally as one of the fastest growing areas of the country for digital and creative industries, while more than 10,000 students study in the South Bank every day in the new educational hub. The Supplementary Planning Document will help this regeneration continue by guiding investors and developers on appropriate growth opportunities and setting the context for funding bids to further support new developments. The Leeds Integrated Station Masterplan shows how Leeds Station could be remodelled to become a world-class gateway and transport interchange featuring high-speed rail for the city and the wider Leeds City Region. The areas around the station are to be transformed with public spaces including a new city park, with a revitalised waterfront and strong connections with local communities in and around the South Bank. “The shared vision for the South Bank is for it to be a place not only for people to live, learn, work, create and spend time but also for it to be a leading economic driver for Leeds and beyond and a place of global significance for business and investors. It has been very much shaped by what people told us in the consultation, so again we’d like to thank everyone who took the time to get involved and give us their thoughts.